Birth date and place 8 Jul 1830 Chatham, Kent, England (see sidebar). 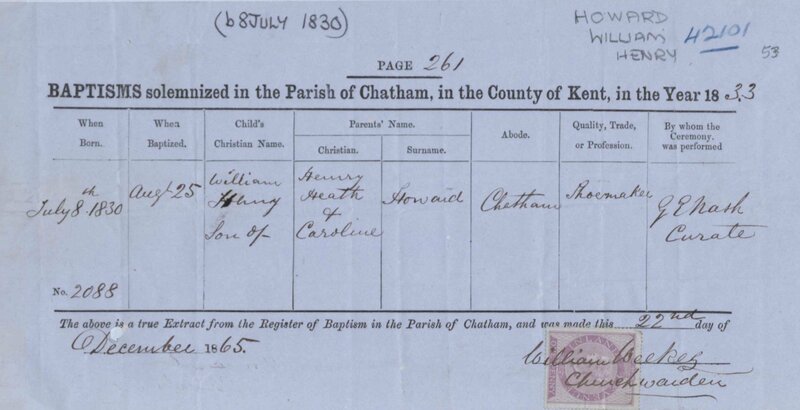 Baptism date and place 25 Aug 1833 Parish of Chatham, Kent, England (see sidebar). Physical Description Height: 6 ft. 0½ ins. Complexion: fresh. Eyes: blue. Hair: fair. Marriage date and place before 1867. Death date and place 29 Dec 1872 Fort William, Calcutta, India (see sidebar). Cause of Death: Phthisis Pulmonalis. Burial date and place 30 Dec 1872 Military Burial Ground, Fort William, Calcutta, India (see sidebar). Regiment No. and Rank #3567 (18th). #520 (89th). 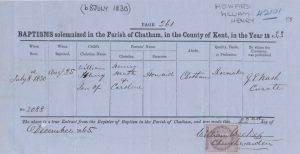 Attestation date and place 30 Sep 1842 Rochester, Kent. Service/Campaigns Van Dieman’s Land 5 years 5 months. East Indies 5 years 3 months. Crimea 4 months. Turkey 4 months. East Indies 5 years 1 month. Promotions Private to Drummer 1 May 1844. Private to Drummer 2 Dec 1854. Drummer to Private 1 Sep 1857. Private to Corporal 24 Jan 1861. Occurred in and by the service. This man is at present in such a debilitated and broken state of health that he will not be fit for further military service. I shouldn’t think he could ever contribute towards earning a livelihood [dated 24 July 1865, Fermoy, Cork]. Discharge date and place 29 Aug 1865 Cork. Length of Service 19 years 61 days. Post Discharge Pension District Chatham. WA (1868). Calcutta 1873 (but see date of death). 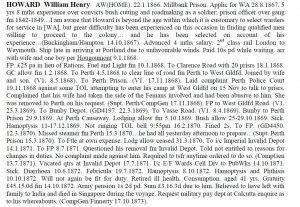 Status/Occupation Warder, Convict Establishment, Western Australia, Jan 1868-Oct 1872 (see sidebar). 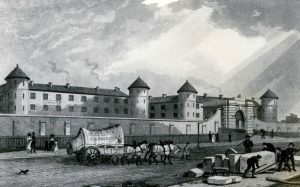 Ward Bengal Presidency Jail 1872. Misc. Newspaper Articles Inquirer & Commercial News 30 Oct 1872. Departure from WA Astracan dep. 24 Oct 1872 Fremantle for Calcutta. 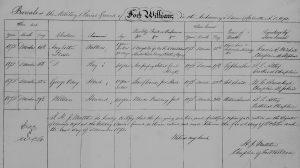 Birth and Baptismal Entry required for Civil Service Evidence of Age for William Howard. 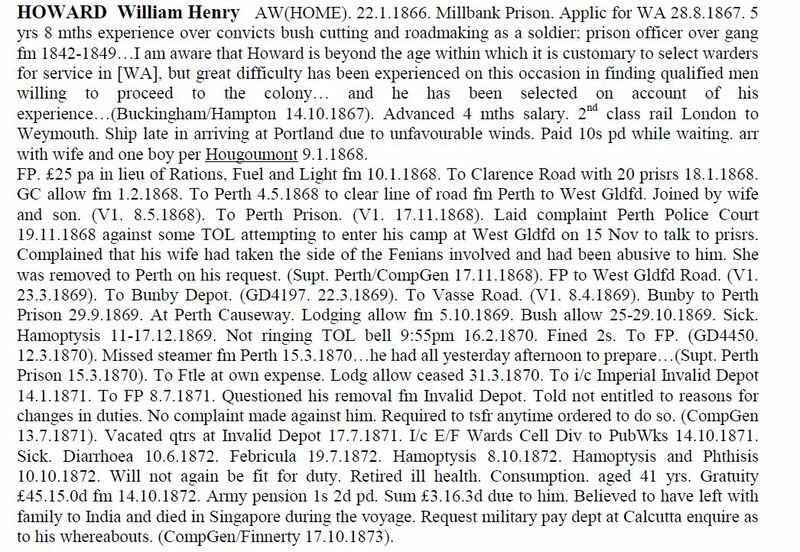 This data differs from his WO97 Chelsea Pension Discharge documents which indicate that Howard was 14 years 3 months old on 30 Sep 1842, i.e. born in 1828, two years earlier than this record. 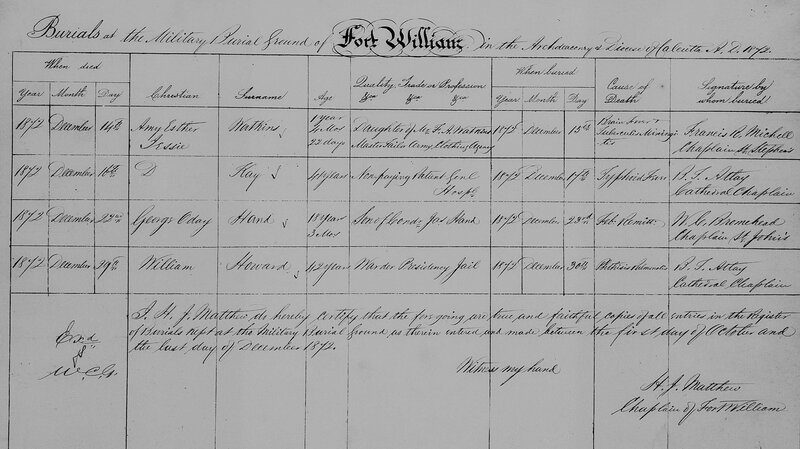 Death and Burial record in 1872 for William Howard, corroborating age at death with the record of birth above. 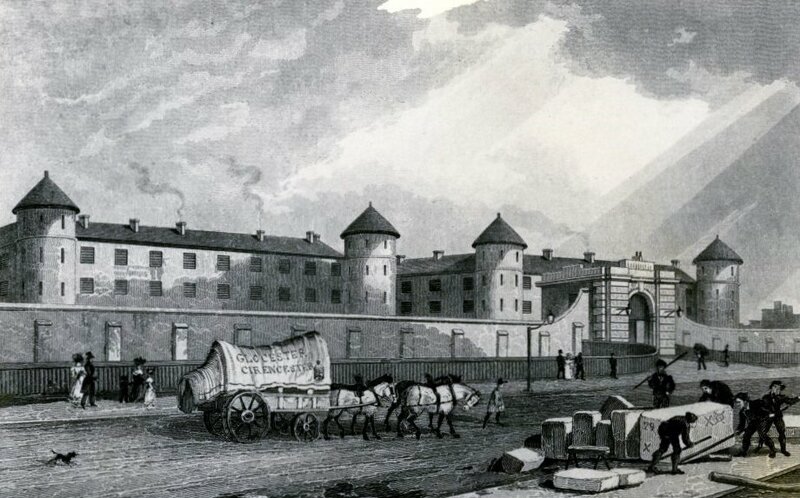 Millbank Prison where Howard was employed as a Warder in 1866. This is now the site of the Tate Gallery [courtesy Tate Archive].